Dover Corporation is a diversified global manufacturer with annual revenues of over $8 billion. For over 50 years, Dover has been delivering outstanding products and services that reflect its market leadership and commitment to operational and technical excellence. The Company's entrepreneurial business model encourages, promotes and fosters deep customer engagement which has led to Dover's well-established and valued reputation for providing superior customer service and industry-leading product innovation. Dover focuses on innovative equipment and components, specialty systems and support services through its four major operating segments: Communication Technologies, Energy, Engineered Systems and Printing & Identification. 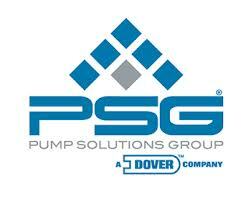 Headquartered in Downers Grove, Illinois, Dover employs 35,000 people worldwide. Dover Corporation is traded on the New York Stock Exchange under "DOV."